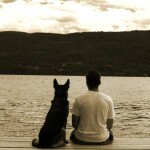 My shoulders were burning with the weight of my pack. Sweat was rolling down my face, stinging my eyes. 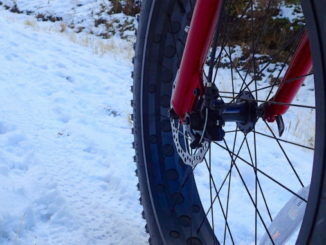 My lungs were working overtime from the last steep push to the top. 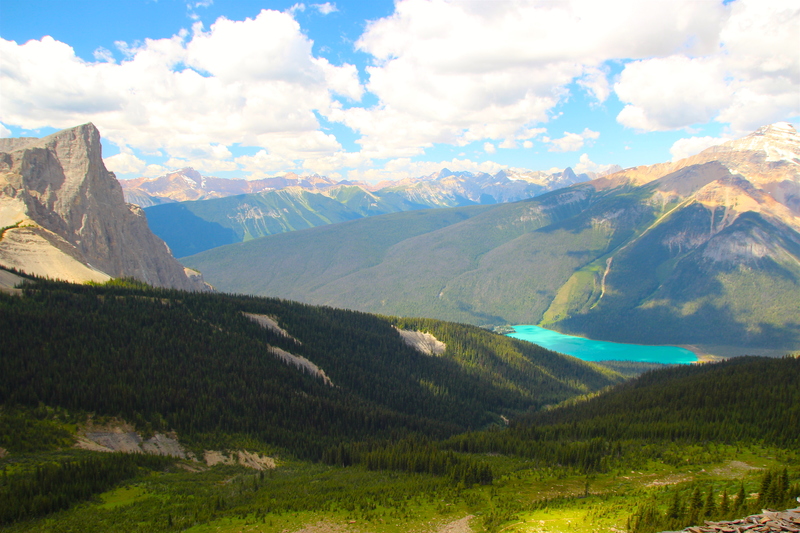 But even with all my bodily discomfort those final paces were significant as they followed in the exact footsteps of Charles Doolittle Walcott, the man responsible for discovering the Burgess Shale. The soreness seemed to just melt away as I caught my first glimpse of the famous fossil bed. My sole purpose for being 2,286 m (7,500 ft) above sea level, perched on the side of a mountain ridge was this exact spot; Walcott’s legendary quarry. 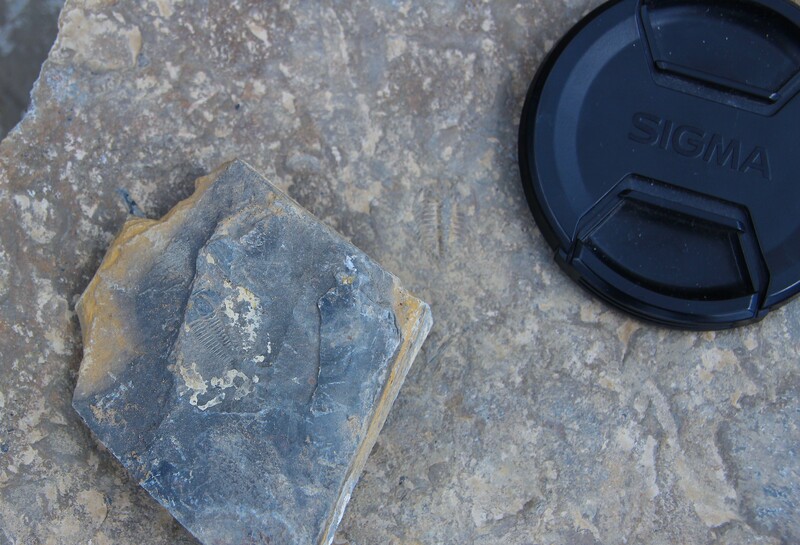 It took only a matter of seconds for my eyes to spot a lone fossil peeking out from among the broken shale and from that point I was hooked. 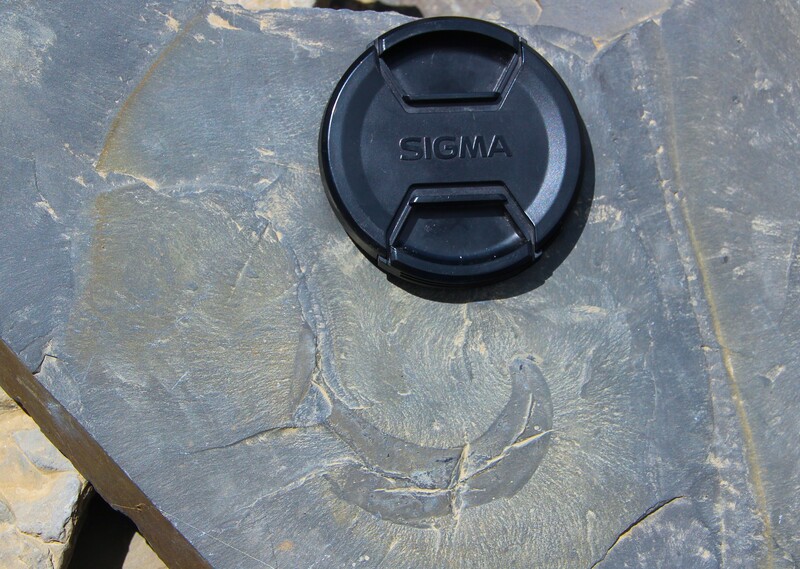 The Burgess Shale has been called one of the most important fossil discoveries anywhere on the planet. The fossils found there are over 505 million years old and are some of the finest examples of soft-bodied preservation anywhere on Earth. 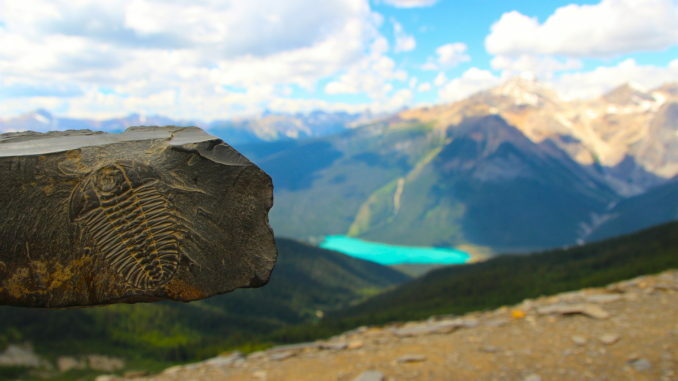 Most fossils on record contain hard body parts, such as bones, shells, and teeth, but the ones discovered in the Burgess Shale also contain mineralized soft tissues allowing us to see the entire organism completely preserved. 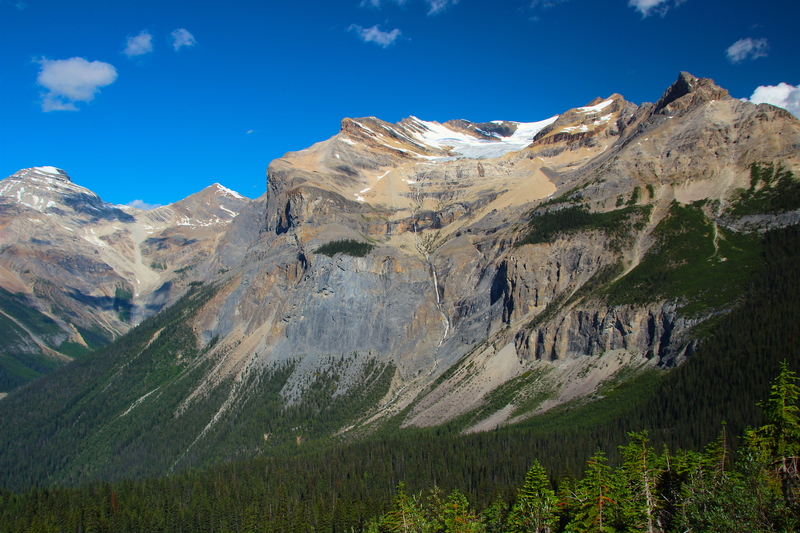 Half a billion years ago the geography that is now Yoho National Park was very different. There was no British Columbia, no Canada, not even a North America. The entire area was under the ocean and all life on our planet resided below the surface. The exceptional fossils of some bizarre looking creatures include some of the oldest known relatives of many species still alive today. These primitive creatures lived near the muddy sea floor. At different times these animals would be caught in underwater mudslides becoming buried in deep water away from scavengers. The mud and silt that entombed them was so fine it was able to settle between each curve and crevasse of the organism’s body. Additional layers of mud and silt were deposited on top, slowly flattening the entrenched animals. Over time and through various geological processes the mud and silt hardened eventually becoming shale; preserving the trapped inhabitants for eternity. Like champagne bubbles, Viagra, and Velcro, the Burgess Shale was also discovered accidentally. In the late 19th century as the Canadian Pacific Railroad (CPR) was moving westward through the difficult Kicking Horse Pass region, one railroad employee found what he described as “stone bugs” on the steep slopes of Mount Stephen. Those “bugs” turned out to be Trilobites and there were millions of them. The stories of the stone bugs eventually made their way to geologists from the Geological Survey of Canada (GSC), bringing scientists out west to study the site, collect specimens, and publish reports about their findings. One of those reports caught the attention of Walcott, a fossil enthusiast and Secretary of the Smithsonian Institution, although he didn’t visit the famed Trilobite bed until 1907, a full 20 years after first reading about it. Two years after his initial visit Walcott was back in British Columbia in search of more fossils, but here’s where history gets a little murky. 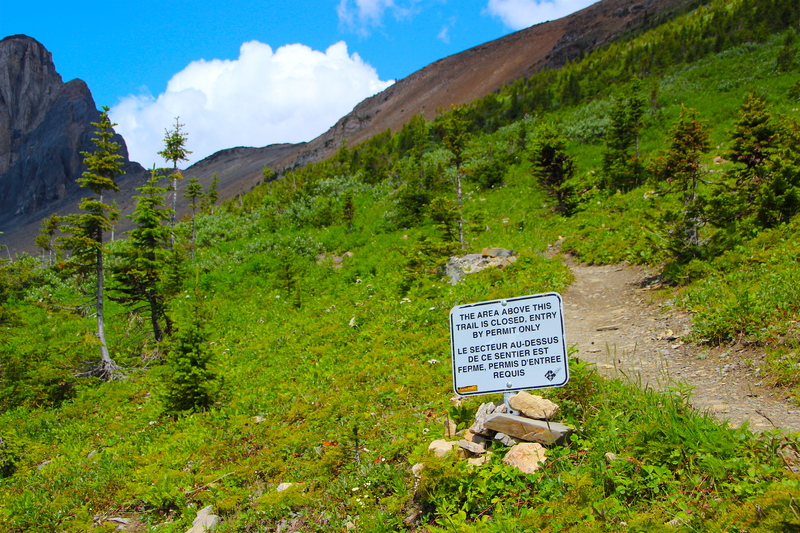 While riding his horse on a high trail between Wapta Mountain and Mount Field, Walcott encountered a large rock in his path. He was either bucked off his horse or got off his horse to move the boulder out of the way. However he got off his horse isn’t as important as what he discovered while on the ground. Had he not dismounted his horse that fateful afternoon the small fossil he found would have likely gone undiscovered awhile longer. 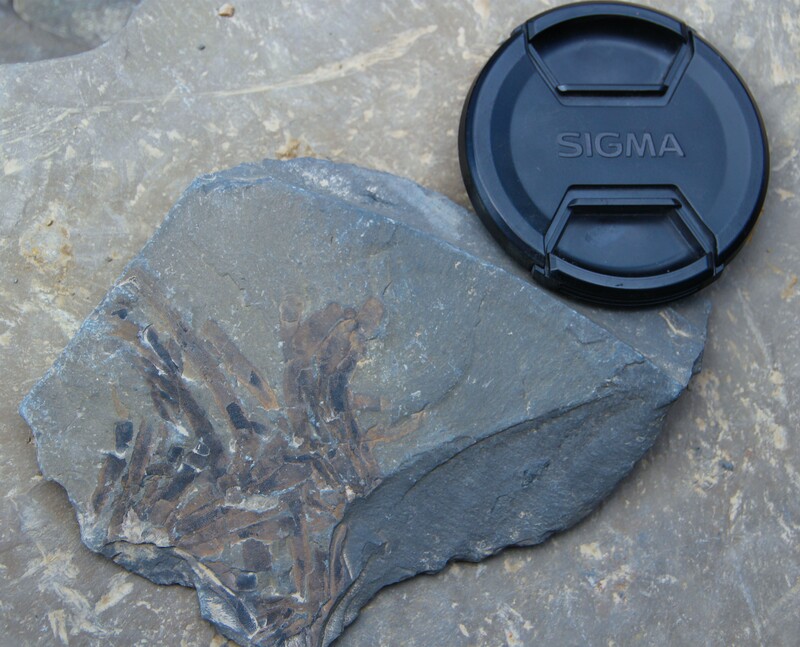 That early specimen would become the first of many collected from Walcott’s Quarry in the Burgess Shale, so whichever version of history you prefer, it was a defining moment either way. 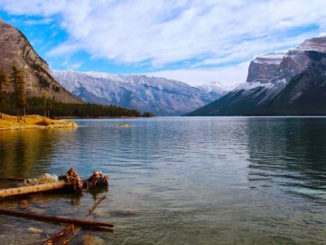 Walcott and his family would spend at least a portion of every field season in the Canadian Rockies from 1907 to 1924, uncovering new organisms, many of which were previously unknown to the scientific community. It was Walcott that determined the fossils were from the Middle Cambrian age, making them over half a billion years old. Throughout his time in the Rockies he would identify many new species and provide expertise on the area and its prehistoric organisms. By 1924 Walcott assumed he had exhausted his quarry and didn’t return the next year. Unfortunately he died in 1927 leaving the 65,000 fossils he collected all but ignored for the next 40 years. 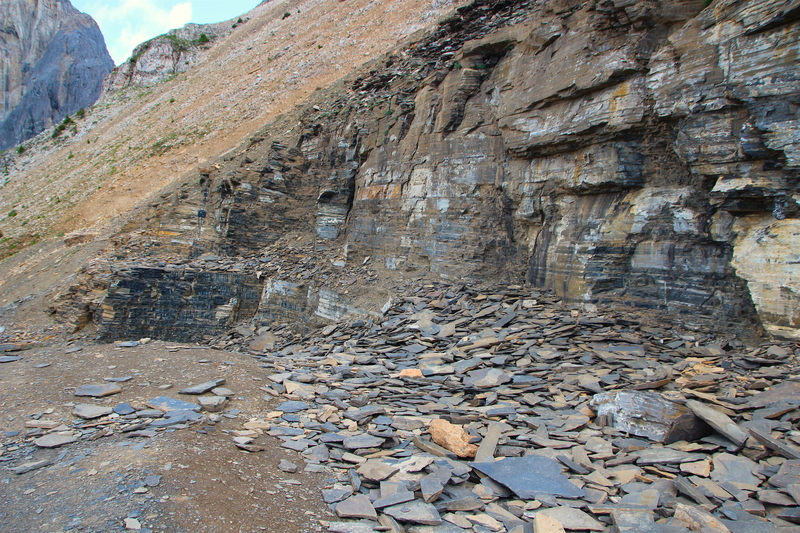 Ultimately his collection would become one of the jewels of the Smithsonian Institution’s permanent collections at the National Museum of Natural History in Washington, D.C.
Today the Burgess Shale is completely off-limits to the public; protected within the UNESCO Canadian Rocky Mountains World Heritage Site. 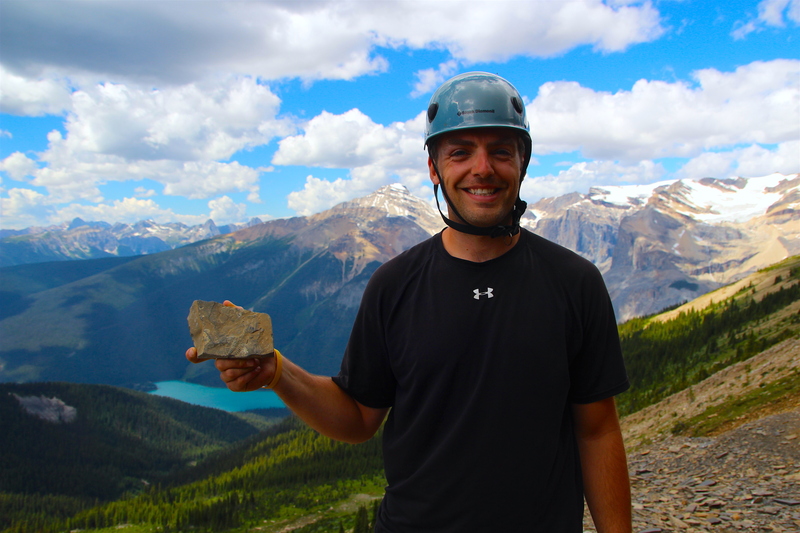 Guided tours are offered throughout the summer by the Burgess Shale Geoscience Foundation and Parks Canada, which is how I ended up there. 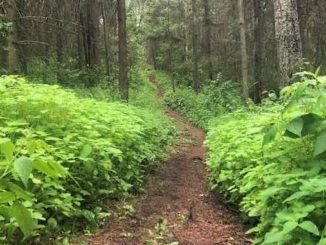 The hike itself is 22 kilometres round-trip with 800 metres gained in elevation. We were on the trail for 10.5 hours moving at a leisurely pace. 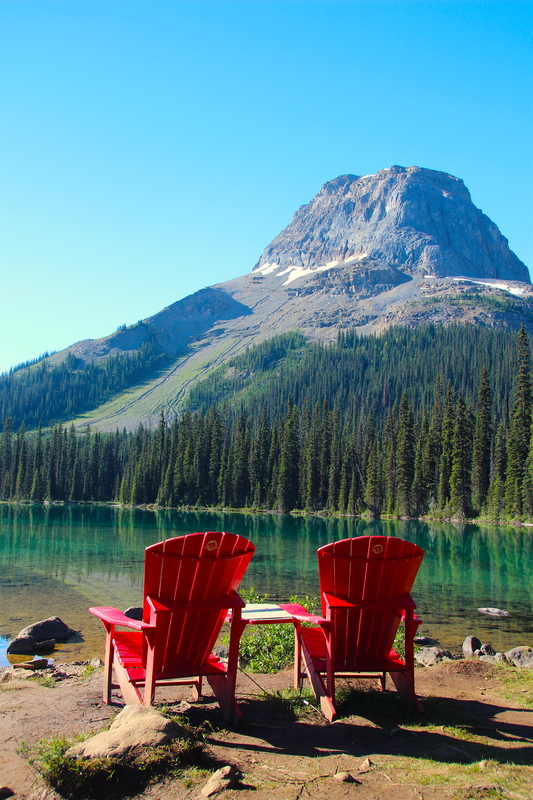 The trail passes picturesque Yoho Lake, crosses Yoho Pass, and offers spectacular views of Emerald Lake and surrounding peaks, but the main attraction is definitely the fossil bed. Despite Walcott’s assumption we know his quarry is still providing fossils to those with patience and keen eyesight. Easily the best part of the tour is digging through the shale in search of undiscovered prehistoric creatures, just as Walcott himself had done all those years ago. 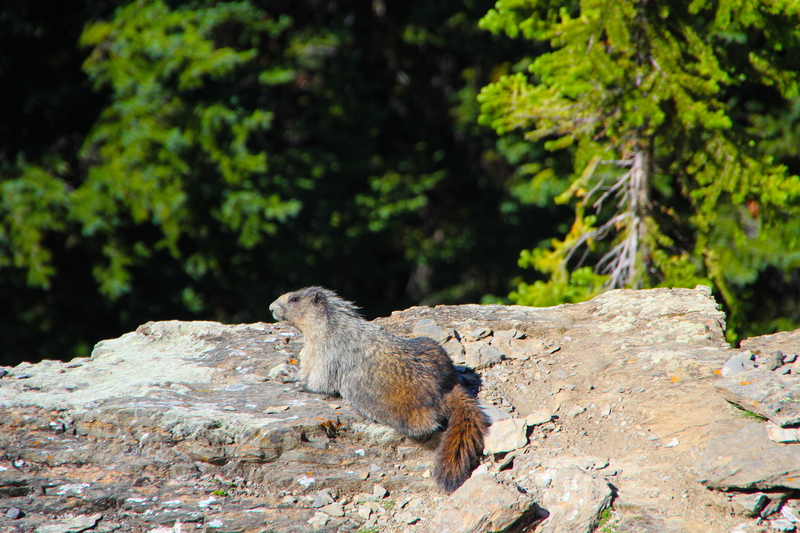 With a little luck you’re sure to uncover critters not seen for many years, maybe ever! 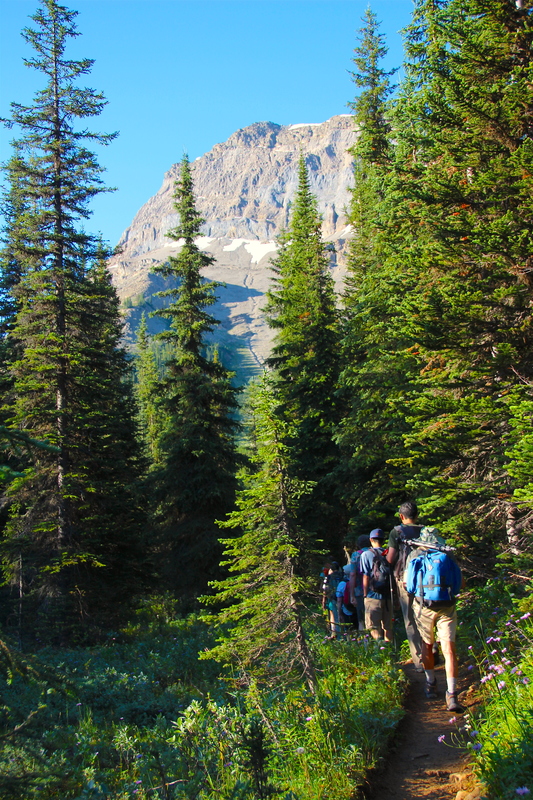 The statistics for the hike may seem daunting at first, but aren’t actually that bad. Yes the hike is considered difficult. It’s the equivalent of climbing all the stairs in a 234 story building both ways, but our guide did an incredible job of keeping a relaxed pace that included numerous stops for rest, water, and snacks. Throughout the day our guide entertained us with informative chats about the formation of the site, the history of the area, and the significance of the discovery. Our group of 12 ranged in age from as young as 19 up to and including retirees, all of whom safely completed the trek. We were treated to perfect hiking conditions complete with a blue bird sky and ample sunshine. We couldn’t help but comment on the weather as the entire area has seen almost daily rain storms leading up to this tour. We spent just over an hour in the quarry and that time passed by incredibly fast. 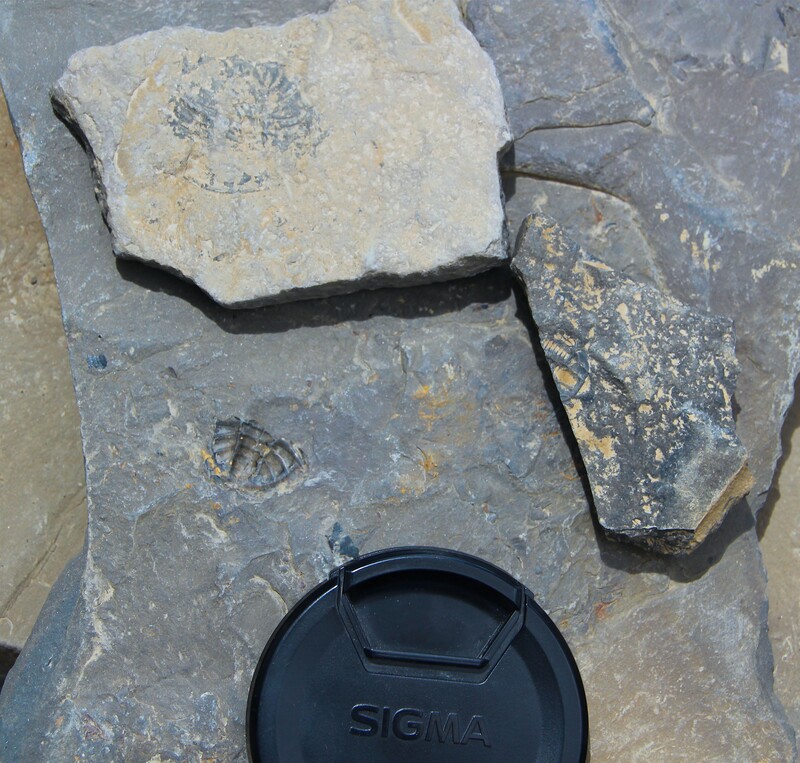 I was able to find several fossils including two Trilobites that appeared to be complete specimens. It’s difficult to know for sure whether those fossils had previously been seen by human eyes. I like to think that I was the first to discover those small relics of the past, further deepening my newfound connection to Walcott. But before I knew it we were back on the trail, headed for home. There was a noticeable absence of conversation after leaving the quarry. Perhaps everyone was reflecting on the memorable experience or maybe the adrenaline had now subsided and we were left with the sudden realization that we had a long slog back to the trailhead. Whatever the reason for the silence this guided excursion had provided me with memories and photographs that would last a lifetime. 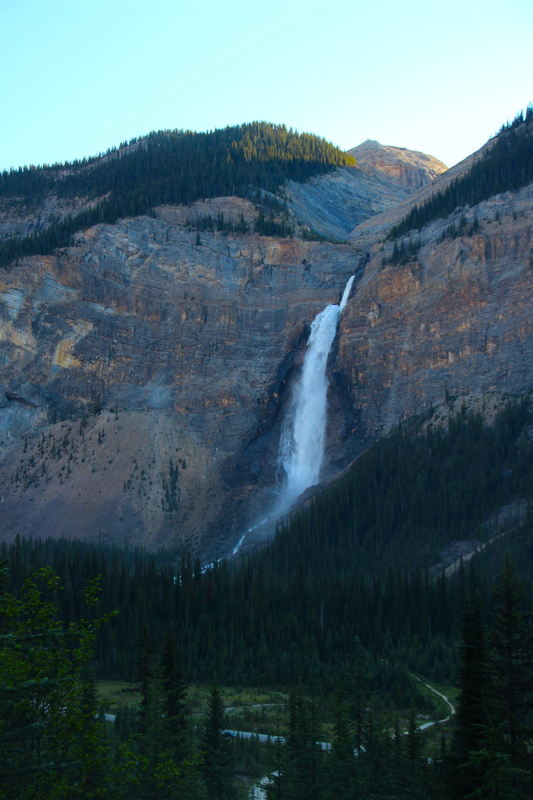 To reserve your spot on an upcoming guided hike to the Burgess Shale please visit the Yoho National Park website. You can also follow them on Twitter and Facebook in order to stay completely up to date with everything happening in the park. For an in depth look at the Burgess Shale, including a virtual submarine tour of the underwater community, please visit the Royal Ontario Museum website. In closing I’d like to thank Karin Smith for putting this whole trip together and Kristi Beetch, our remarkable guide, for getting all of us to the site and back safely while making the day engaging and meaningful. Thank you both! 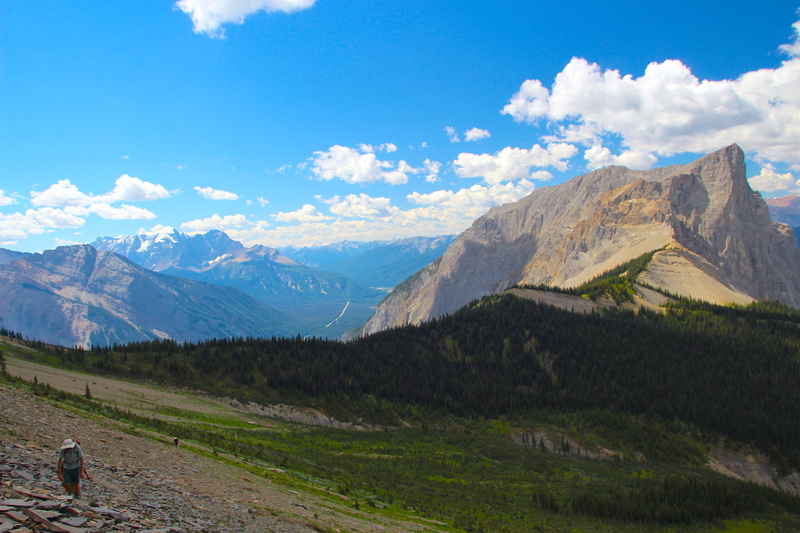 Please note this story can also be viewed in two additional places; on the GOT Parks website (Yoho’s Stone Bugs) and with additional photos on my personal blog (Burgess Shale).